Focuses on urban renewal through establishment of new regional identity. They develop an critical approach to the urbanism and architecture of Kosovo, with social and human responses. New density and diversity are proposed through micro interventions in Kosovar complex urban situations. Swiss touch and low-tech regional reinterpretations could be the definition of Politbyro’s, high quality, local production. Gezim Pacarizi – born in Prizren, Kosovo, lives in Switzerland since 1989. He graduated architecture in Geneva University in 1993. 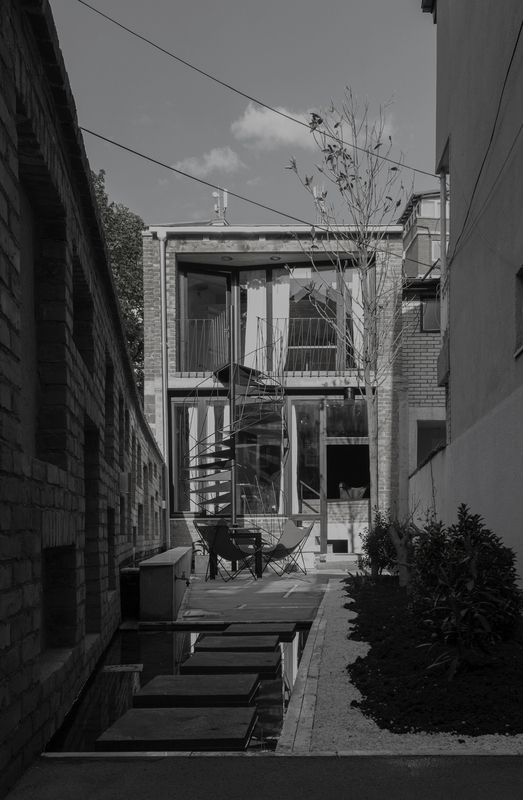 He is a partner of PHARC architects in Geneva and POLITBYRO (Paçarizi Architecture Studio) in Prishtina. Generosity of thought space, simplicity of form, developed with materials in a way that reveal the nature of architecture are the principles of his work. An inside look into small Politbyro office hidden in Vellusha, Prishtina oldest neighbourhood. The recently finished office building is in itself an example of micro-urban renewal.